... Hey now. Just what are you thinking. But what if I need to post "FOR THE LOVE OF GOD SOMEONE PLEASE BUFF DK"??? I almost clicked 'report' looking for the 'reply' button. I got Skype on my phone but no video, and my laptop is funky. Add 'suzaliscious' (careful with the spelling). My name on Skype says something but I go by Nathaniel now. Not that great, is he? Melee: Because transcendent infinite range fast-traveling near-lagless projectiles with hit-stun is good design. LordlingMelee: Because transcendent infinite range fast-traveling near-lagless projectiles with hit-stun is good design. First off, hey friend. Second, quick question. When it comes to tournaments, do you go by "Lordy"? I've come across videos on the interwebz and noticed a fellow Ike user by that name, so I was all like "Yayy, I know that guy"..until I saw him bring out a Captain Falcon on stream and considered the possibility of it being lordhelmet. So I figured I'd ask ya. That's Lordhelmet. I don't have a scene I'm a part of yet, but I'm trying to unearth one in Ithaca. I noticed there's a Smash group there, but it seems to be just Melee and it's not all too active. But it's a start? 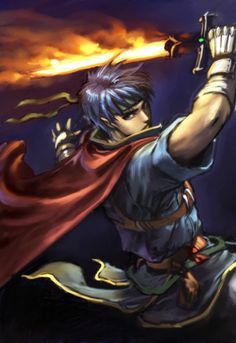 As for PM, I've been maining Roy, but I'm probably going to work on an Ike since he's my favorite and he's looking to be my Smash 4 main as well...still holding out for Lucina though. How is he against samus? Good edge-guarding v/s Samus, and gods does she die to Uair early. The trick to not over-rely on QD and realize this is one of this MUs where QD is a combo extender, not an approach or neutral tool, since she can invalidate all of QD with missile spam. Be careful about Aether and high recoveries with QD - Ice Dtilt beats the former, missiles the latter. Overall, I'd say it's even but if you know what you're doing, Ike can do well against Samus. When are you suppose to get that off time? We Lucina avatar users must stick together! I need this chick in Smash 4. Do you ever play wifi? I want play you in Ike dittos. For some weird reason I actually tend to get better connections with people farther away from me. Let's test it out sometime after Tuesday. Massive lab submission. Wednesday or Friday are best for me. May I ask where you got your avatar picture? I changed my view on Link because I got better. Love it when that happens. Peach and I went through a similar exchange.